Could you function without your servers? When you have an office full of workers you need your servers and ICT to function smoothly and always be available – you don’t want glitches! With all your important financial and administration data on your server the last thing you need is for this server to be unavailable especially when producing important data and reports. With our IT Management Service we will be proactively checking your systems every day so that we can anticipate and remedy problems before they wreck your day. Being predictive, we can then spend more quality personal time with you solving your challenges as opposed to fire fighting your issues. 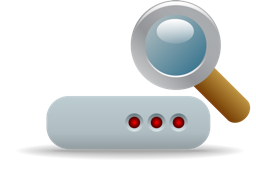 Actively monitoring your servers’ event logs to ensure errors are checked and addressed. Checking to ensure your backup has performed successfully – if not we’ll check it and diagnose the situation helping you to secure your data in the event of a failure. Keeping a trusty eye on those processes that swallow the CPU cycles, allowing us to plan ahead should your server not be capable of its duty. Monitoring your disk space ensuring you never run out of space to store your crucial files. Ensuring your servers have the latest updates and patches keeping it in tip-top health. Keep on running! We’ll keep your server running by monitoring those critical services which keep your business up and running such as exchange services. By monitoring physical memory and page files we can ensure your server has the oomph behind it to keep up with the day to day challenges. We will routinely run tasks to keep your servers healthy – defrags, disk cleanups etc. We’ll give you a report on what we’ve been doing on your server to ensure you are happy with the job we are doing. All contact with our consultants and technicians are rated by our support survey. Not all products and services are available in all areas. Subject to availability, geographic location, line capability, terms and conditions. Prices exclude VAT and are correct at time of publication. E&OE. Please note that calls to our lines may be monitored or recorded.